Arjuna Awards 2013: Sports Awards in India are presented by the Government of India to athletes and sports persons for their accomplishments and outstanding performances in the various fields of sports mostly annually. Some of reputed and Esteemed Sports Awards 2013 in India are Arjuna Awards, Dronacharya Award, Dhyan Chand Award and Rajiv Gandhi Khel Ratna Awards. Government of India has recommended the following awards for year 2013. 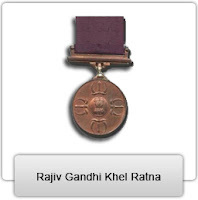 Double trap shooter Ronjan Sodhi has been recommended for the Rajiv Gandhi Khel Ratna, India's highest sporting honour. Cricketer Virat Kohli is one of the 15 chosen for the Arjuna Award to be presented at a ceremony in New Delhi on August 29.